Most new distilleries come with a compelling story – a gripping epiphany, a serendipitous meeting, a lifelong ambition finally realised, a seemingly impossible dream nurtured into reality, a dead past resurrected… anything to grab the attention of the market. 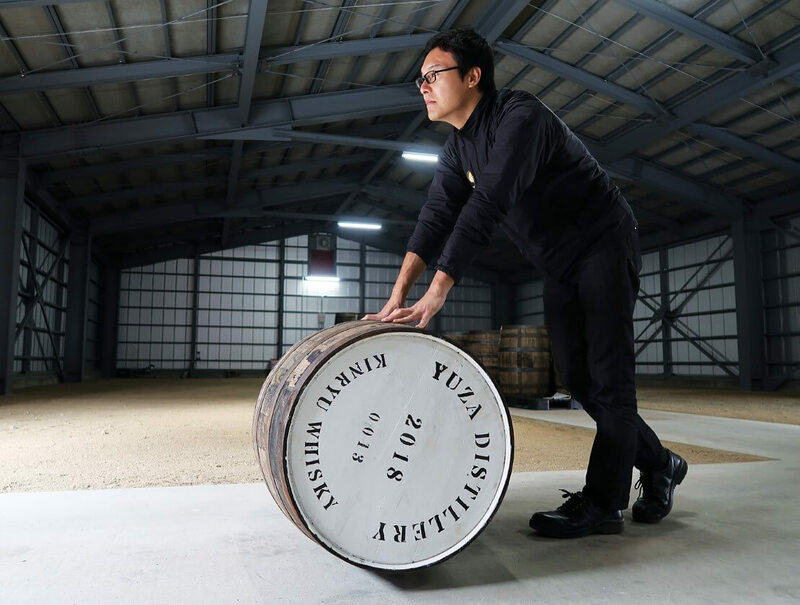 When we arrive at Yuza Distillery, Japan’s latest addition to the whisky map, president Masaharu Sasaki tells us straight off the bat not to expect a fancy backstory. Savvy marketers advised him to invent one, but he’s a down-to-earth man. He likes to tell it like it is, and what it is is a simple case of ‘wake up and smell the coffee’. For the equipment, Kinryu decided to go with Forsyths rather than with their Japanese colleagues at Miyake, again, a matter of pragmatism. “Miyake is aimed at pros. They come in, install the equipment and leave. Forsyths was a better fit for us, because they show you the ropes and offer tremendous support to beginning whisky distillers,” Sasaki explains. The team from Forsyths spent three hot summer months getting the distillery ready, and on 27 September 2018, the local tax office granted Yuza Distillery its whisky-making licence. A year and a half and £5m later, Kinryu was ready to embark on its exciting new adventure. The vision of the distillery team is encapsulated in an acronym they came up with: TLAS. It doesn’t exactly roll off the tongue, but other configurations of the same letters would have been a bit unfortunate. Nomen est omen, and all that. T for Tiny, “because that’s what we are,” Sasaki says. “We can’t make much – only about three barrels a day. The set up and processes are textbook Scottish: a 5kl lauter tun, three waters for the mashing, five Douglas fir washbacks, distillers yeast, 90-hour fermentation time, a 5kl straight-head wash still (Macallan-inspired) and a 3.4kl spirit still with a boil ball (Glendronach-inspired), both with downward lynearms and shell-and-tube condensers. With a little cosmetic pagoda, it would have been straight out of Speyside. The barley used is imported from Scotland, too. The house style is non-peated but Sasaki plans on doing some heavily-peated batches at the end of the first season, in July 2019. Asked what sort of spirit they are after, Sasaki shrugs and says, “We’re figuring that out now, but we’re aiming for a rich, yet clean spirit. Our approach at the moment is a fast first distillation combined with a narrow cut during the second distillation.” To taste the new make, we move to one of the warehouses. Full-bodied but chiselled with beautiful barley sugar, tempura batter and under-ripe fruit notes, it’s got just the right amount of sweetness and a touch of salinity, as well. Beginner’s luck? Don’t think so.